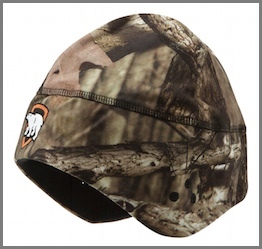 This fleece beanie offers great head protection since it is windproof and water resistant. The one size fits most beanie utilizes ArcticShield technology, a multi-layered heat retention material that captures and returns up to 90% of your body heat, perfect for all-season warmth. Pair up the beanie with our other ArcticShield outerwear and accessories for extreme warmth from head to toe.